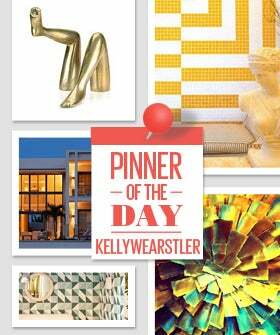 Design guru Kelly Wearstler is already all over Pinterest. Chances are, quite a few of those swoon-worthy pins floating around your boards were probably the brainchild of the interiors queen. With that in mind, we're thrilled to welcome the design goddess to our social obsession. She's sharing her own pics through a fun collection of boards that allow us to really explore her Uni-wearste (sorry, couldn't help it).